A bit of a combo post today … as I’m busy with something else that demands a lot of attention (nothing serious) … I’ll be back to comment at the weekend, but won’t be around til then … just so you know I haven’t disappeared off the Cornish or blog planet! 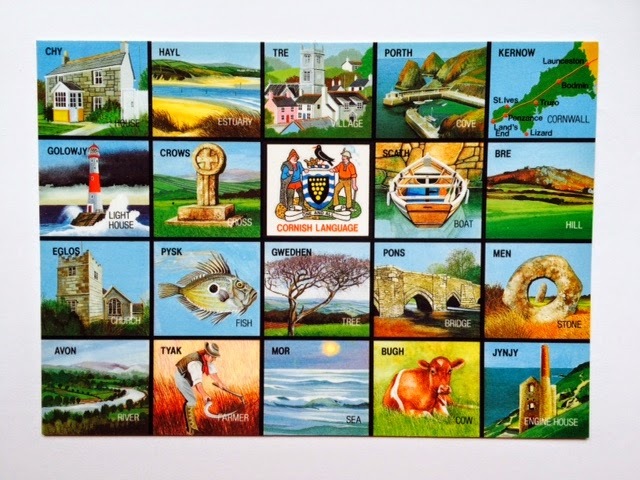 These postcards are available, once in Cornwall! However my thoughts ventured along my A-Z postings and I did cover most or at least sent you off to look further … always my intention to give prompts so you can chase your interests … anything I’ve missed give me a shout: just not too loud, please! Two things I never mentioned and one is very dear to my heart … The Minack Theatre, Porthcurno … a spectacular theatre hewn out of rock (now sadly somewhat modernised due to health and safety!) – the history and some older photos can be found here, including one of Rowena Cade resting in a wheelbarrow. At night and I gather it was raining! Rowena Cade (1893 – 1983) owned the land, offered the garden to a local village group of players in 1930. From those humble beginnings Rowena Cade and her gardeners literally ‘lugged sand, granite, wrecked timbers, up to the stage floor – the seating being created as time passed’ – thus the theatre was moulded. … and one where I fall down on, but Cornwall most definitely does not … Music and Folk Festivals … choirs, brass and silver bands, folk nights down the pub … which is my major omission in the A-Z posts. Wiki has an entry ... which will lead out ... and you musicians will know where to go to look further. Ding Dong Mine song …. The White Crow Medicine Show - sung by Jerry Crow ... shows the mine and has some lovely music accompanying the song: worth listening to?! (only 4 minutes long). Z for Zennor … surprisingly is a small village, with a population of 196 … St Ives round the corner so to speak has just over 11,000 residents. I don’t live in Cornwall … but my mother’s family were Cornish, and we are adopted Cornwall residents – often holidaying and visiting. 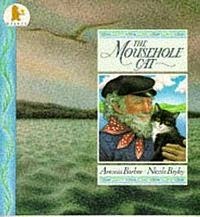 Books – I completely forgot The Mousehole Cat – I have written about the children’s book, based on the legend of a Cornish fisherman Tom Bawcockand the stargazy pie. 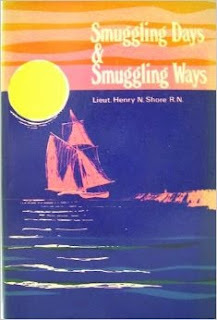 Smugglers Days and Smugglers Ways by Henry Shore (1892) – though this is a facsimile edition … and it’s relatively expensive. This is about Tresco and the Scilly Islands … with some great lore: I only found out about it yesterday. 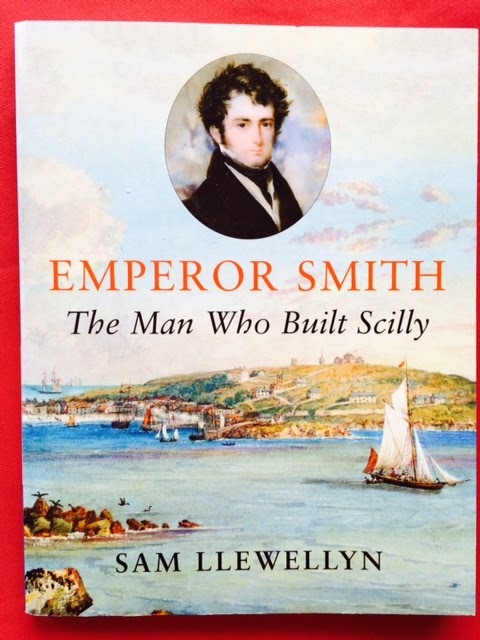 Bob Scotney also mentioned a book on ‘Emperor Smith: The Man Who Built Scilly’ by Sam Llewellyn – the fascinating story of the early Duchy of Cornwall and Smith who leased the Scilly Isles from them in 1834. Actually – it’s a book about the Duchy of Cornwall, Georgian England, Bentham, the school system, Ireland … he was a Georgian social experimenter in the Lunar Society tradition, fire in his belly and a glint in his eye, a believer in Benjamin Franklin’s maxim ‘that anger is a sinew of the soul, and he who wants it has a maimed mind’. His mission was not to gently steer institutions, but to tear up the old and install the radical new. That book has my attention caught … you probably realised that. 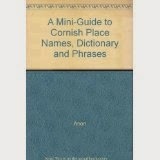 A Mini-Guide to Cornish – a tiny booklet … not expensive … the reason I’m mentioning it – is that it gives a very succinct précis on encountering a strange language: which gives an idea of English evolving, pre-Aryan, pre-Celt, and the superimposition of these languages into our present day language. Very short and fascinating; with the bulk of its sixteen pages a word list. Yes, lots of people to meet, greet and comment across to – I owe many: I will get to you all … apologies in the meantime. Thank you to Arlee (Lee to me) for having the bright idea, and to Alex and all the hosts and minions for their continuing graft at keeping the show running. Desperately sad to have lost Tina – but we’ve remembered her – some of you so thoughtfully as David Powers King did throughout the Challenge, with his daily dedication to Tina. where my mother lived: Gulval. Now there's a lot more housing, roads, industrial units and supermarkets! Length of posts – I know I don’t fall into the short slot (by any stretch of the imagination) ... but I feel deprived if I don’t write my usual way … especially as my subjects need more attention than a whizz past. I start shorter … then ……………. I take Benjamin Franklin’s maxim and just change it a little … as reference to those perceived negatives about the A-Z Challenge … accept the challenge, look on the other side of the Cornish stone wall … if you have a problem work through it and help all of us so you can fully participate. 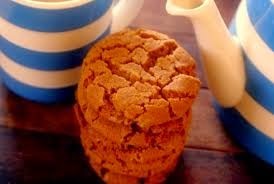 enjoying Real or Ginger Fairings - deliciouso! A good finish. Never heard of that open air theatre. I would love to visit and see a performance there. I too come across blogs with no comments. Very sad. Such a fun tour, I really have enjoyed all shared. I am on the mend, and surprisingly for me listening to all the docs tell me. Thanks for all your concern. Great thoughts! I hope you didn't have any emergency. Disqus--I never figured out. Wordpress was okay. On Google+, I clicked on the "About" in the tabs, then scrolled down to the link to the blog. YES that took too much time. Trust me, I saw posts that were much longer than yours. It was fascinating learning about that area of the country. The song about the Ding Dong Mine, with the accompanying pictures really brought your A to Z posts home. The juxtaposition of the standing stones to the mine, the pictures of the men in the mines... wow! I agree with you about finding blogs through Google. Like T. Powell, usually if I clicked on "About" I could find it, but sometimes... I just had to pass. As always, Hilary, totally enjoyed your posts. Learning about Cornwall was eye-opening. I'm awestruck with the open-air theatre! And I am glad you mentioned that 'nothing serious just busy' bit. Also that your posts are lengthy and fascinating and good to get my teeth into :) that's one rule I like to ignore about the A-Z too. What you can post about requires two AtoZ Challenges, Hilary. Maybe more. So much to learn and so many things to discover in your part of the world. Glad you mentioned the Minack Theatre. Look at that setting! Breathtaking. It must be pleasant to sit there. As previous years, I so enjoyed your posts. I felt the same way about Disqus and I groan at Google+. I love an open air theatre! I recently viewed Man of la Mancha outdoors like that. Lovely. Good job and I will see you soon. 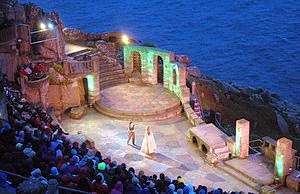 I'll visit just so see a live performance in the Minack Theatre in Porthcurno. How cool would that be! I'll join you in a spot of tea and ginger cookies. Wow, you've got enough information to do the challenge another two or three times! I've never been to the Minack. I really want to, especially to see a Shakespeare play - it just seems so suited to that style. You put together some great posts and I enjoyed reading them and learning new things. I love the Mousehole Cat story and the Minack is always a joy to visit. That theater looks lovely. I'd love to go there. Whoa - what a backdrop for that theatre! Everything you see there must have a sense of greatness even before it starts! Loved the Minack Theatre on our Cornish holiday - performances were over for the season, but it was great to tour then we walked round to Logan Rock and back, then visited the Telegraph Museum. A whole day of fun! i have a wordpress i.d. and also signed in to disqus, too, just to help with commenting. i detest google+ as well. Thanks for your Cornish postings. I learned a lot and they were fun to read. Perhaps a bit on the long side, but that's fine, most of my postings were just as long. Well, things for me to improve on for next year. Thanks for stopping by my blog and the comments. Noted...Cornwall's music and folk festivals! Hilary, your love for the area really shines..as said before, very enjoyable. I found Google+ to be a nightmare too. I'm glad I cut the link. WordPress gave me fits but so many wonderful blogs, it was worth the extra time filling out forms. such a sweetie! 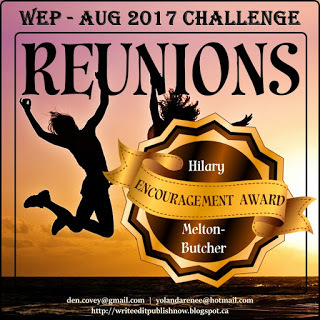 i have to get over to England, so many wonderful blogger friends to meet! you did splendidly with the challenge as usual and thank you so much for visiting me. the postcards would make an awesome quilt, if only they were fabric! Hi Hilary! Glad it's nothing serious that keeps you from us this week. Nice upbeat post with even more to learn. 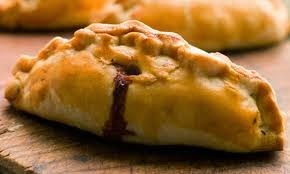 That Cornish pastie has made me hungry! Yep. Google+ wastes our time when it's used for a blogger comment. And I used disqus once. It has some very good points and some annoying ones. WP used to be nasty to me, mainly because I tried to begin a blog three times and have confused them, but never mind, blogger does me well. Looking forward to hearing from you when you're all sorted! Loved DPK's thoughtful mentions of Tina. So beautiful. And all of your posts are always so amazing, Hilary! What a cool looking theater! And I love the lighting in the photo. Congrats on finishing A-Z. All of you impress the heck out of me. An excellent finish, Carole. I can't thank you enough for teaching me about the UK. I wish I had time while I was there to see everything. Well, that was quite the wrap up! Well done! And congrats on completing the challenge once again. I thoroughly enjoy your LONG posts and learn so much about the British Isles. 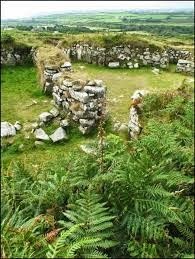 A town named Zennor sounds like it would be in some strange world! I sure agree with you about the Google + sign in. You're sent to the blogger's G+ account and then have to find a post that has a link to their blogger account and on and on and on. I long for the good old days when you could click on the commenter's name and go right to their blog, read it and decide if you like it enough to follow. Sigh. I enjoyed your informative posts in April, Hillary. I felt like I should print them all up for later reading and review! Utterly fascinating all the way through, Hilary. Though not a pirate, I am so glad I landed on your shores. Your posts on Cornwall represent a huge undertaking for the A-Zs, I should think. If anyone deserves some time off, it's YOU! After all you've gone through recently and then the A-Z challenge...enjoy life and don't worry we'll still be here when you return! Hilary, your blog was a constant source of delight and fascination throughout the challenge. Your posts were exactly the length they needed to be and I savoured every single word! I wholeheartedly agree with Kern, though I was fortunate enough to meet you before my first A to Z in 2011. You always go the extra mile for your adoring fans, and we truly appreciate it. It was a joy learning more about Cornwall, and you always present things in such a colorful way, Hilary! I'm also not a fan of Google Plus or Disqus. Thanks for all of your support during A to Z, and I'm grateful for your friendship, Hilary! Wonderful post today. The travel pictures are beautiful. And that book about The Mousehole Cat looks so cute. Have a lovely weekend. You really put a lot of time and thought into your wonderful theme and I enjoyed it. I only wish I had visited more, but I was always playing catch up. I am one of the bloggers who has Disqus and HATE it, but I don't know how to return to blogger comments. I hope we stay in touch now that the challenge is over and I really hope you haven't given up on my mystery. You really paid attention and I have a Kindle fire that is need of a new home. Once again, you haven't disappointed. I do appreciate your meticulous, even if they be lengthy posts. I suppose that one should take into account that a lot of people involved in the alphabet thing are attempting to read a lot of themed posts. I would hate to think that due to time restraints, a reader of your blog, might overlook portions of you article. Brevity is more to my style, I suppose. Anyway, congrats on a job well done. I also want to thank you for your kindness. You are admired and appreciated. Here's to a semblance of a weekend. I enjoy all your posts bringing me new information but there is always one that immediately grabs my attention. The struggles of building the Minack Theater shouted out to me. I have been feeling as if i've been hauling rocks and sand also to make a stage for performance. I love the photo of the Theater and it must be exciting to see the performances. Ding Dong Mine song was entertaining but sad. My heart always goes out to people who are compelled to work all day without the sun. I often go into the old radon mines around here but one hour is about all I can take. A grand farewell message to this year's A-Z. Just love that theatre, lovely memories, Hilary. Great reflections post. Glad I got to visit your blog several times during the Challenge and looking forward to visiting more often. Thanks for taking the time to visit mine too! Such a shame that natural landscapes have to be built up...if only there was a way to not have them covered in concrete, or at least with all the spaces -- not like sad Dover, which we visited back in 2011. So many empty shops and vacant lots :-( And fewer pubs! Thank you for mention the headache involved with moving from one blog platform to another when commenting. Especially Google+. I, have trouble finding my way to the blog at all. That theatre looks just amazing and thank you for the note about the folk scene Hilary - I will follow it up. Google + drives me mad and WP is not far behind when I try to leave a link in it to my blogger blog. There seems to be a lot of blogs around where you can't follow, or find a comment form or even find the blog itself. Congratulations onf finishing another A to Z - it's made very interesting reading. Please check this out when you can spare a minute and drop me a line - nilabose306b(AT)gmail(DOT)com. You are so thorough, and the way you use photos throughout your posts makes them even more enjoyable! Thank you for sharing so much and for all your visits to my blog as well! @ Jo – the theatre is brilliant; it’s one big plus of the A-Z .. we can give everyone a chance to get some comments, which hopefully will be reciprocated. @ OOTP – so pleased you’ve been happy to read about our distant peninsula. Glad the leg is improving and that you’re doing what you’re told!! @ Teresa – no .. just needed to finish something off, but then got run down and a bug-cold-chest thing that’s doing the rounds … so I hope I’m on the mend now. Sometimes with G+ there’s an about .. but sometimes it takes me into a loop .. as there’s ‘nout’ there! Thanks for enjoying and then commenting on the posts … glad Cornwall enticed! @ Nila – the theatre was a work of passion – we’re lucky Rowena Cade lived in Cornwall! All’s well – thank you … and appreciate that you enjoy getting your teeth into the content of my posts … that’s wonderful to read. @ Stephen – it would be worth coming over for ... the setting is amazing on the cliffs at Lamorna. It’d be fun to meet up with you down there … and then tea with a Fairing afterwards sounds very good?! @ Suzanne – thanks so much and if you as a Cornish lady, as too Annalisa, enjoyed these posts … I must have been on the right lines for ‘an Emmet’!! Isn’t the Mousehole Cat story based on the legend so delightful, and that coastal trip from Mousehole round to the Minack is just a very typical Cornish lane journey ..
@ Chrys – thanks so much for visiting … I hope you can get over one day and visit Cornwall. I agree David’s dedication to Tina was a great reminder. @ Donna – good to see you … but no worries – time is not easy! @ Paula – thanks so much and G+ I don’t really get either! It was good to see you posting … I appreciated your thoughts and views in your posts. @ Anabel – it’s good to meet you during the Challenge. So pleased you had a happy time walking around Lamorna, Logan Rock and the Telegraph Museum, as well as getting a chance to see the Minack, even if performances were over for the year. Sounds a wonderful day … it’s so gorgeous out there ..
@ Rhonda – it seems many of us have hassles with G+, Disqus etc … I hope you’ll be able to visit England again at some stage and see a bit more of the country … I see Sarah later on commented that the ‘Minack looks cool’!! @ Theresa – I suspect you might be right with your comment – thanks so much for that. The boatload is a container ship of stuff untouched! It seems to be the way to cope with commenting … sign in to the other platforms … but G+ not so sure about. @ Sharon – thanks … Cornwall has many happy memories – so I’m delighted my enthusiasm runs through. I’ve kept the link, but don’t add people to G+. WordPress – some blogs require us to fill in forms ... others don’t ... I just get on with it – as you say it was worth filling in the forms. I didn’t realise you quilt … and it’d be an intricate one wouldn’t it … but sadly they’re just cardboard ... though I guess it could be converted into a pattern. I can’t quilt … and am pretty hopeless with anything craft oriented. So pleased you enjoyed these Cornish postings and especially for the comment about my personality coming across … appreciate that!! @ Lisa – perhaps you can get over sometime. It is magical – I think that sums it up. Yes her name is a good one to draw on. Emperor Smith’s life was fascinating ... I’m doing a talk on him. @ Joylene – thanks so much. I hope you enjoy your visit over here shortly, when you get over to see your son. I know – time is not really on our side is it … still you’re seeing England, the Stonehenge area and I guess London .. and the family – that’s the important bit. @ Jess – thanks for coming by and glad you enjoyed seeing the Minack. Yes there’s a lot of work … but then the friendships we make and the knowledge we learn make the A-Z so worth it … something I’m so pleased to be a part of. @ ACiL – delighted you enjoy my writing and are happy to visit and read through them. Appreciate this thought. @ Michael – I do cover loads don’t I … but I enjoy writing them and thankfully bloggers seem to enjoy reading the posts. I am certainly picking up lots of information … on a range of subjects … and the puzzle pieces keep slotting into place. @ Sara – the hip thankfully has completely settled down. I just need to catch my tail! That’s the great thing about blogging – we can always be around, if that’s the way we wish, get a break and return to blogging, or keep slowly posting through the year. @ Melissa – I know you were very busy .. and I so enjoyed your murder mystery A-Z – and I still need to return to try and work out ‘who dunnit’ ..! I’ve got used to Disqus – once I signed in and accepted I needed to do it … as too WP … G+ can’t handle! @ Manzanita – lovely to see you here – ah yes! I can see you relating to Rowena Cade’s ‘building work’ at the Minack .. you are amazing at what you are still able to do, and then the craftsmanship and care that goes into getting your projects finished and done. @ Carole Anne – thanks so much .. good to see you. @ LD – the cross-platform commenting is a challenge, even before we start posting!! 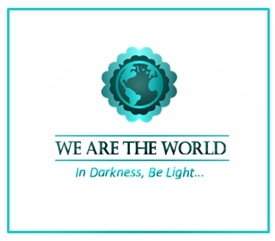 But we join in with who we can and when we can … G+ is just a yugh nuisance! Anytime you comment, Hilary, is ok with me. I did notice a few blogs with no comments, and I make sure I say something, unless it's totally out of my realm. . .I dislike Disqus, and Google +, I tried to comment on Wordpress, but didn't follow those bloggers as you have to subscribe. I even heard a few disparaging comments toward Blogger blogs on my travels so far through the participant list. Just checking in, Sweet Lady. You sure had a busy April A new post here chock full of really interesting and cool tidbits. There is a New Cornwall very close to Mahone Bay, Nova Scotia, just past Block House. I mentioned in my comment response to you a snailmail pressie would soon be on the way. Have not mailed it yet, just wanted you to know. Super awesome busy time of the year, end of Kelly's school, many field trips, parties and such going on of late, and for the next 2 weeks. Then off school until the end of August. Still gymnastics 6 days a week, though in summer! Like Susan I was sure I had commented, but perhaps my imagination has been running wild, encouraged by the wilds of Britain you've been so wonderfully introducing me to. I LOVED your series Hilary - so rich, so informative, so fun. You've led me down a rabbit hole or two in my own followup, and there's nothing more I enjoy than a good tumble down a rabbit hole. Looking forward to enjoying many many more of your posts. You are such a good teacher Hilary! I would love to see a play at the Minack Theater. You make Cornwall sound so incredibly alluring, Hilary... Their tourism board should start paying you royalties :) Thanks for mentioning these books; I'll put them on the shopping list and see if I can get a couple. (The one about Emperor Smith definitely sounds fun!) And I love your adaptation of Franklin's adage: indeed, complaining never helped anyone. The A-to-Z is a challenge for a reason; expecting everything to be smooth sailing, and then crying murder when it isn't, is simply not realistic. One of the reasons I love being your blogosphere friend is precisely your good humor and your take-it-as-it-comes attitude. Your posts are always so full and rich in various bits of information, such a delight to visit. Thank you for sharing your vast knowledge in such an entertaining way! Hi there! I saw your link over at Fil's and thought I'd come to say hi! 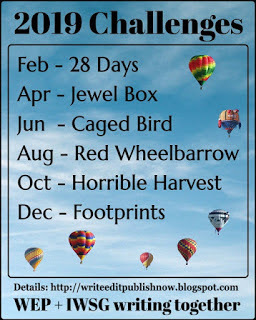 I stil don't quite understand what the A-z challenge is- but I'd like to take part another time! I love your list- I'd love to go to that theatre- I went to IMS Prussia Cove and heard about that place! I love the Mousehole cat. I sang in the animated film version that was made of that book. Such a lovely story. The homemade pasty looks really good. Great photos! Google+ is a nightmare, indeed. I'd say the tour was a great success! Hope all is well in your neighborhood. :) Thanks, as always, for brightening my day and making me a bit more knowledgeable about the world! A blogging friend has shared the delights of the Minack theatre with me. How I would love to see it - and it is spectacular in its own right. I always love your posts, and I never spend enough time with them. I'm skimping this visit just to stop on the Road Trip, but I plan to return, just like a grockle! Nice to meet you. New follower now. I agree with your reflections. Yes, its a ton of work and the sign-on for some folks is incredibly challenging. Maybe we should look at creating a cheat sheet for next year for all the participants. That's just a thought. Take care. Just here to say hi and hope all is going well at your end. Hewn out of rock, the Minack Theatre has such an unusual location - talk about a visual feast! I can't imagine your posts written any other way, Hilary. Your posts are YOU... very distinct and eclectic. Great wrap-up of your A-Z challenge (although after looking at that pastry I am now starving! :-D) I hope you got all your beginning-of-May craziness resolved and that things are coasting along better now. Happy spring! Great reflections post (totally agree about Google+). I found you by following a link from JemimaPett.com, and will check out some of your A to Z posts--what a great subject! … I’m really irritated that blogger swallowed my comment – it was over its un-magical character count and then just loses it – unless I’d been quick witted enough to realise – sometimes I do. I thought about replying to the comment in Word – but the fact I might lose my long reply to you all didn’t enter my little head space this morning … so however long later – I’m back repeating myself! Unimpressed!!!!!! Just maybe that’s a good excuse?! It’s happened before and I didn’t realise ……….????!!! Unlikely I suspect. @ DG – so much has happened in your life recently with your move .. just hope it’s ticking along slowly – good luck. I’m glad you agree re the various systems .. G+ etc etc … there’ll always be challenges re the different formats … we’ll cope though. 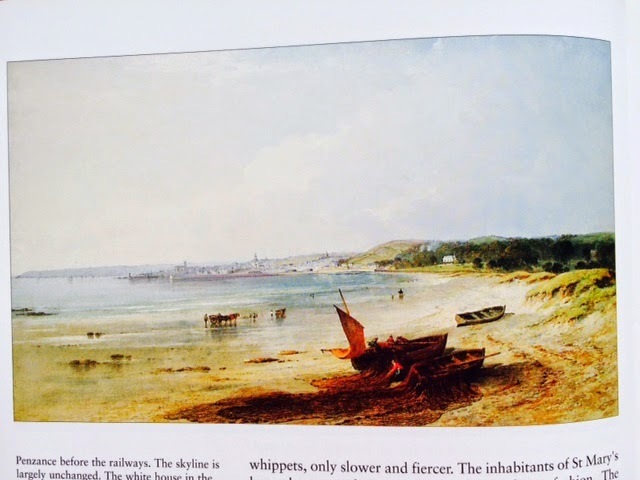 @ Jannie – I looked at New Cornwall .. and saw it was full of lakes, with six saw mills back in 1883 … must a beautiful place. School being out – probably doesn’t make much difference in your life – with Kelly being so so good at gymnastics … I admire her tenacity and your and Jim’s parenting skills = very clever – you’re all so well grounded. 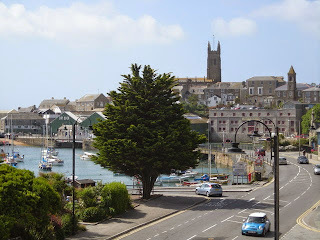 @ Deborah – thank you so much – so glad you enjoyed the Cornwall postings … they were rather full … but I enjoyed writing them and have loved the comments. @ Beste – thanks so much – the Minack is an incredible setting and so I hope you can visit one day … and am glad I can pass on a few educational ideas and thoughts re Cornwall. @ Guilie – bless you – delighted and perhaps one day you too can get over and see if for yourself. I WISH the tourism board would pay me royalties?!? Some of the books are such good reads .. I did enjoy Emperor Smith. Gosh complaining – Franklin had it right … and why we all get so neurotic over such tiny things .. I really don’t know. Yes they can frustrate – but forget them! Wonderful notation .. on your enjoying being here and being a blogosphere friend … it certainly applies to many of us – but I’m honoured with your comment. @ Desk 49 (I should remember your name – but I can’t – sorry!) So good to see you and your poem … distinctly you. I enjoy putting in the photos – it seems to enliven the postings and we connect visually sometimes. Thankfully I do make time usually to meet up with other bloggers – something’s gone wrong here – which is in the process of being corrected! I have no fright seeing you here or your poetic comment – delighted to welcome you. @ Connie – thank you so much … and it’s lovely to see you here and that you enjoy the info I impart .. in my style. @ Milo – glad you agree re G+ etc … but the pasty – yes an hour ago I was hungry … so now it’s much worse!! I suppose the maxim is .. don’t lose your comment reply next time Hilary! @ Kezzie – gosh how wonderful you came over from Fil’s blog. The A-Z is a great blogging get-together (challenge) to do .. so I certainly hope you’ll join us next year. Lots of posts will go up about it and how it works in late January … so keep an eye out. Thanks re my listings … and the theatre is amazing … Prussia Cove is a beautiful part of the world – not one I know that well … as we tended to stay in the Penzance, Lands End – St Ives areas … unless we were visiting else where. @ JH – I’ve been hungry all morning … particularly now repeating my replies! Not a happy bunny am I. @ JJ – glad you enjoyed the photos .. and yes G+ is not friendly ..
@ Karen – looks like the tour around Cornwall converted a few bloggers, and will bring some tourism anon. Just happy you enjoyed the posts – it’s always lovely having you here. @ Elephant’s Child – glad you’ve had some experience of the Minack .. I sincerely hope you can get down and actually see a performance one day and see it in person. @ Jemima – thanks so much – an honour coming from you. Life doesn’t give us much time for blogging does it … or grockling for that matter – love that word! @ Mina – so good to see you here .. and I’m way behind to catching up with you – sorry! The cheat sheet could be a great idea for next year … it is definitely just a thought – a very good one! @ Nila – thanks for calling in – as you can see I’m way behind and if I need to do everything twice, as I do this post … life is really catching my tail and hanging on! @ Michelle – yes … it’s an amazing place – you’d never believe it could be done … but we saw it happening during the 50s and 60s. @ Caryn – thank you so much for coming by … I’ll catch up shortly with everyone. I enjoy the wrap ups … though they’re not usually this long. I am still in my craziness … one day I shall get my head above the parapet. See you shortly I hope. @ Mark – I can’t do 300 – 500 posts any more!! I miss out too much … and thank you – you would miss out too.